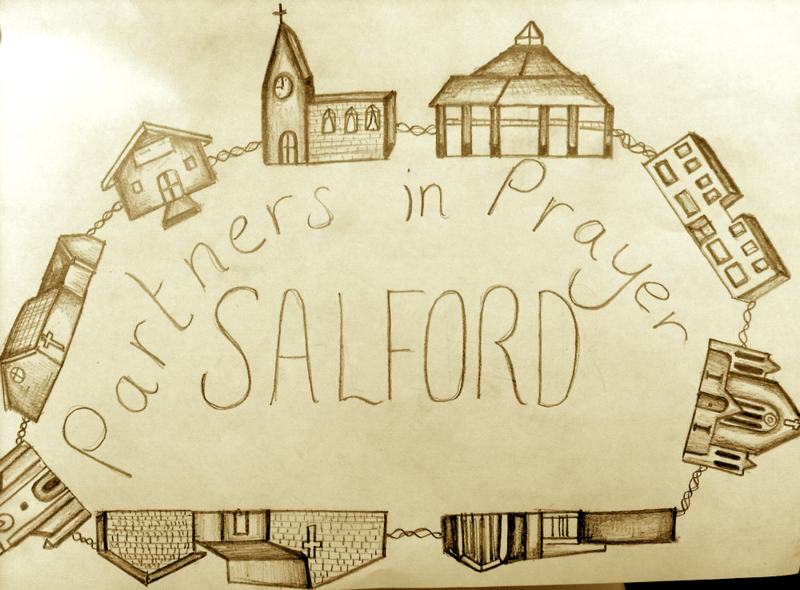 Salford Prayer have just launched a new initiative, called Partners in Prayer, which has the vision of seeing every single church in Salford partnering with one another, and praying for each other. The idea behind Partners in Prayer is simple. Salford Prayer will make a list of Salford churches, where they are, what they do, and any specific prayer requests they may have. Then each church that’s signed up to Partners in Prayer takes it in turns to pray for another church for an agreed period of time, before swapping and praying for another church. Easy. Partners in Prayer will be fully launching in July, and so we’ll be sharing more details about which Salford church we’re praying for near the end of June, but in the meantime watch the video below, as Ian Peacock explains more about this initiative.